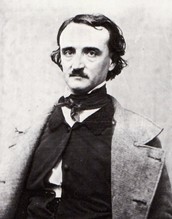 One of America’s darkest poets was Edgar Allan Poe. Edgar was born in Boston on January 19, 1809. He was separated from his father, and his mother died when he was two. He was adopted by Mr. and Mrs. John Allen. Mr. Allen didn't care for him while Mrs. Allen loved him. John Allen was a successful merchant, so Edgar grew up well in good surroundings and with good schools. When he was six, Edgar went to schools in England for 5 years where he learned Latin, French, Math, and History. He finished his studies in America. 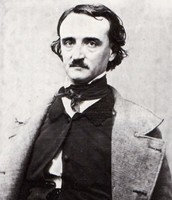 Poe went to the University of Virginia in 1826 at the age of 17. His father had enough to pay for Edgar’s college, but he gave Edgar about a third of what was needed. Edgar, although doing well in French and Latin, started heavily drinking and became in debt, he drop out of college after less than a year. Without money, job skills, or John’s support, he went to Boston and joined the army when he was 18. He advanced to become a sergeant major. 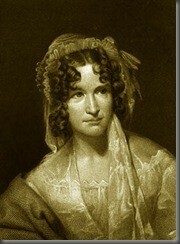 In 1829, Mrs. Allen died, and this caused John to try to be kind to Edgar, signing his application to West Point. When waiting to go to West Point, Edgar lived with his Grandmother and Aunt Clemm, as well as his older brother, Henry, and cousin, Virginia. In 1830, he entered West Point as a cadet, but didn't stay because John refused to pay again. After being discharged, Edgar moved to New York to have some of his poetry published. His stories were sent to many magazines, but all were rejected. Again, with no money, friends, or a job, Edgar sends a letter to his father, John, for help. None came. John later died in 1934, and did not mention Edgar in his will. In 1835, Edgar got a job as a newspaper editor after winning a contest with his story, "The Manuscript Found in a Bottle". Missing his family in Boston, he brought his Aunt Clemm and Virginia to Richmond. In May of 1836, he married his cousin, Virginia. He was 27, and she was 13. They were married just before her 14th birthday. After two years of unsuccessful stories, he joined Graham’s magazine and published his detective story, "The Murders in the Rue Morgue”. He also raised the circulation of the magazine from around 5,000 to about 35,000 copies. Since he was popular, in 1842, he decided to leave Graham’s to start his own magazine. He tried but it failed. He published more of his short stories, but not many sold well. Even with his popular story “the Gold Bug” that sold 300,000 copies, he barely could make a living. In 1846, he and his family moved to a cottage near East 182nd street. Virginia wasn't in good health, and Edgar was deeply depressed. After her death, he collapsed from stress. He joined “The Son of Temperance” to try to stop the drinking. He met his boyhood sweetheart, Sarah Royster Shelton, and they started to date. 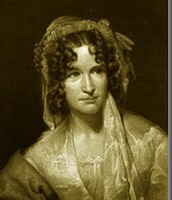 Edgar meant to marry Sarah that October, but on September 27, he left Richmond to go to New York for unknown reasons. On the way, he stopped in Philadelphia, to stay with his friend. He left Philadelphia on the 30th to go to New York, took the wrong train, and ended up in Baltimore. Edgar was evidently pretty sick or injured, because on October 3, he slipped in and out of consciousness and was taken to a hospital. Nobody could not explain what happened, but he died in that hospital on Sunday, October 7, 1849. When the name, Edgar Allan Poe is mentioned you immediately think of scary stories like the 'Pit and the Pendulum' and 'The Tell Tale Heart'. Not known by many is that Edgar also wrote about love. Like he did in one his first poems published, 'To Helen'. At the age of 13 or 14, a childhood friend, named Robert Stanard, took Edgar to his house one day after school. Legend has it that once Edgar met Robert's 27 year old mother, he fell head over heels for her and wrote this poem to declare his love. It is not so strange that a young boy would fall for a woman who was so much older. With the abandonment of his father and the death of his mother at such an early age caused a sense of emptiness. The kindness of his friends mother filled this empty feeling. 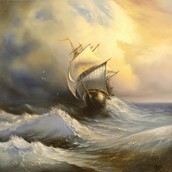 In this poem Poe compares himself or the reader to a sailor lost at sea, who was saved by a beautiful woman. How Edgar felt before he met Jane Stanard. Alone and adrift in stormy seas. 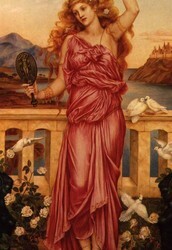 It is believed Edgar named his poem Helen after Helen of Troy, claimed to be the most beautiful woman in the world. Explaining how he felt for Jane Stanard.